Come out dressed in your best costumes this Halloween and run the canal path on the Jersey Side, South from the Washington Crossing Bridge either in the 5k or 8k run categories! Race Occurs Rain or Shine. Lightening and High Winds could lead to cancellation. No refunds will be issued in this instance, as proceeds go towards Alex's Lemonade Stand Foundation. 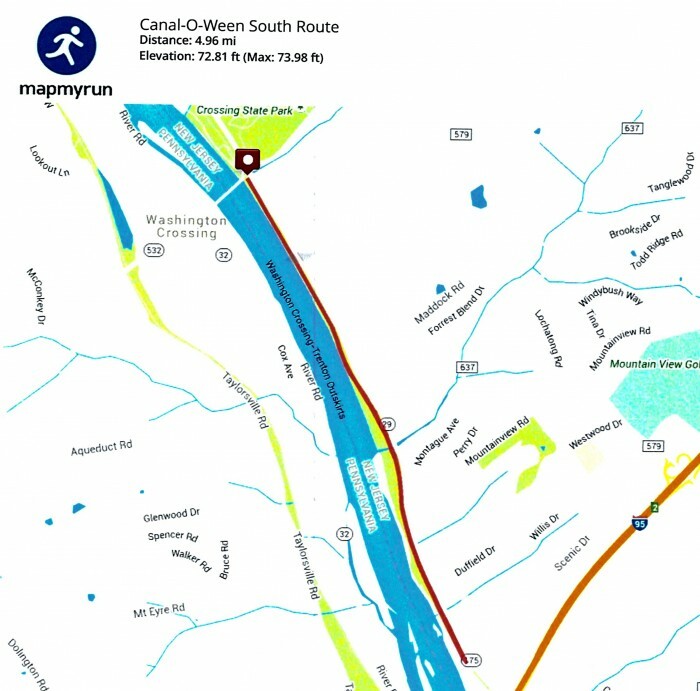 Runners will run South along the Delaware Canal Towpath from Patriot's Crossing Tavern making turns at the midway point for the 5k and 8k.